“We’ve got a great culture here” is a term that’s thrown around during interviews, scribbled at the top of job descriptions, and the perk millennials are desperate to hear about. In recent years, there has been a monumental shift towards nurturing this thing called culture, but what is it, why is it important, and what are some of the ways you can work towards it? Company culture defines the environment in which employees work. It includes a variety of elements, such as work environment, company mission, value, ethics, expectations, and goals. When you consider companies with a clear company culture, Google, Facebook, Zappos, Twitter, and Zenefits come to mind with their offices with no doors, motivational slogans strewn across the walls, apps to help manage their benefits, computer rooms and football tables down the hallway– your home away from home, as it were. While offices don’t have to be as eccentric or eclectic as this, there is a definite paradigm shift towards exuberant and welcoming offices that commemorate this move away from the stoic and cold corporate way of life by removing traditional office features- bland walls, cubicles, dull hanging prints from Ikea) and replacing it with chill-out rooms, mobile cafes, and casual dress codes. How you choose to express your company character is up to you, so do your research not on what everyone else is doing, but who your current employees are, including their demographic, interests, and whether they are creative or techy, and if you are starting fresh, what kind of employees you want to attract and how you are going to go about it. While we could pretend that corporations are growing soft and finally recognize the need to treat employees as people, it is important not to delve too far into fantasy. 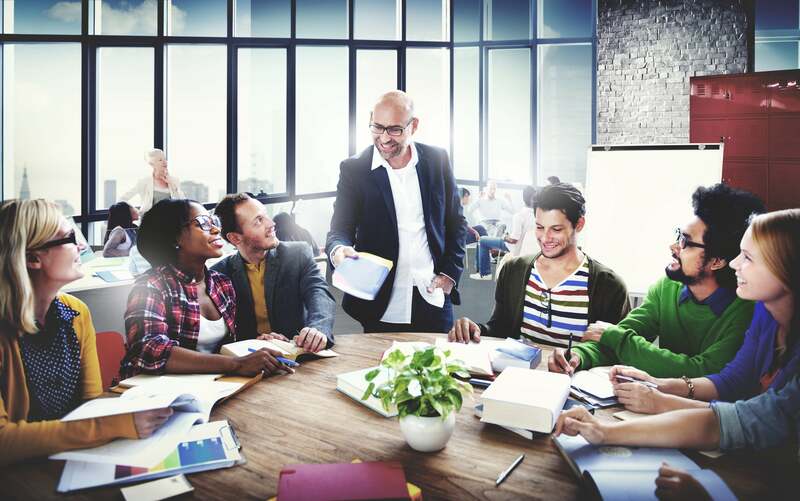 One of the principal reasons for this budding interest in fashioning a unique and overarching company culture is the generational shift in the workforce. Millennials are taking over. In 2015, more than one in three American workers today were millennials- adults aged 18 to 34. In 2017, they surpassed Generation X to become the largest share of the American workforce, according to new Pew Research Center analysis of US Census Bureau data. This is even more true for young populations, such as India and Dubai, where a significant majority of workforce are already part of this well-researched generation. And if there is anything recruiters have learnt about millennials, it is that they are looking for tailored employment that supports their needs and accepts their individuality. If you are not going to provide that, they aren’t going to grit their teeth and stick around—they will leave. Having a strong company culture is the ticket to keeping millennials happy, because, if done right, it should reflect their interests and values and make them feel part of the company they are investing in. Fundamentally, creating an interactive and engaging culture -if done right- will strengthen the bonds between company and its employees, which for most businesses is fairly abysmal. The workplace should not be something that people dread every morning. Staff should feel energized about their role and find something to look forward to. Challenges, their co-workers, the hour they get to play on the Playstation at work- all of these should galvanise them. Stress at work is inevitable, there is no business model that removes this element entirely. Nevertheless, a strong support network in form of a great company culture will alleviate it. This is why culture matters. Culture sustains employee enthusiasm- the charger that fuels them when they are low and awards them when they have accomplished something. Regardless of the challenges and potential pitfalls, it will be there to soften the blow. Finally, happy employees are productive. They work overtime, they go the extra mile to help their colleagues, and they are constantly innovating on your behalf. No one does extra for people/business they don’t like. If you’re willing to invest a little capital in building and nourishing their culture. you will be repaid threefold. One of the first things you learn about Google is that it receives millions of job applications a year. Why? Because its benefits and company culture are incredible. Although it must be one of the most stressful industries to work in, hundreds of thousands of people around the globe flock to its careers page. Culture is a recruiting tool. If you have established yourself as a company that treats its employees well, it is not going to stay secret for long. Your employees will tell their friends, will share pictures of last weeks’ pizza day at the office on social media- word about what a workplace it is will quickly get out, attracting those looking for that level of care and support. In short? Giving employees prodigious professional experiences will transform them from staff to ambassadors and help you recruit and retain the top talent your business needs to flourish. That person will be your cultivator, groomer, nurturer, and all the things in-between. For most companies, this will take the form of your HR Director or Manager. They will be the vanguard of this fledging thing that will become your office culture. Now, this is not a one-person job, but it does require direction, responsibility and ownership- a dedicated official who will water it with new ideas and concepts, and prune it of unsuccessful ones when necessary. As your staff grows, so will your culture. It is inevitable that something that was visualized by one or two key players will become a dream shared and shaped by many. While the core values should never change -after all, they are the pillars on which the company rests upon- you need to ask your team about it. How can you improve it? What elements would they like to see incorporated into the existing structure? If there are echoes of advice coming from your A-players, it might be a good idea to listen and integrate them. There is something to be said about the throng of corporations shifting from archetypal management styles. Open offices without doors (metaphorical and literally) are picking up speed, and the logic for it is sound: if you want your employees to feel equal, to feel more than a small cog on a big wheel, having an open system where they can go with their ideas to department heads or even CEOs without getting buried under the hierarchy ladder is a great move to empower them and build a culture that values everyone equally. Culture can seem like this all-powerful thing with the potential to unite hearts and minds and turn a profit, but it is also an incredibly fragile thing. Frequently communicate, internally and externally, what your culture is. Like a corporate mantra, it will keep everyone focused on what is important, and remind them of what they are working towards. Reward those who embrace and exude your core beliefs, be honest and upfront with those who aren’t. That way, there will be less disturbances and disruptions, and your original culture pitch remains at the heart of its constantly evolving form.